Shares of Compass Group plc with company EPIC: LON:CPG has declined -1.47% or -24.5 points throughout the session so far. Sellers aired on the negative side while the stock has been in play. Range high for the period has seen 1672 and a low of 1640.5. The total volume traded so far comes to 587,491 whilst the average number of shares exchanged is 4,038,577. The stock 52 week high is 1684.5 around 18.5 points in difference on the previous days close and a 52 week low being 1396.5 is a variance of 269.5 points. Compass Group plc has a 20 day moving average of 1622.7 and now a 50 day moving average now at 1607.3. The current market cap is £25,996.68m at the time of this report. The share price is in GBX. Mcap is measured in GBP. This article was written with the last trade for Compass Group plc being recorded at Monday, July 16, 2018 at 12:39:44 PM GMT with the stock price trading at 1641.5 GBX. The trading price for Diageo plc found using EPIC: LON:DGE has moved down -1.41% or -39.5 points throughout today’s trading session so far. Traders aired on the negative side while the stock has been in play. The periods high has already touched 2818.5 dropping as low as 2757.5. The total volume of shares exchanged through this period comes to 544,024 with the average number of shares traded daily being 4,244,663. A 52 week share price high is 2835.5 some 31.5 points difference from the previous days close and the 52 week low at 2241 is a variance of 563 points. Diageo plc has a 20 SMA of 2755.58 with a 50 day moving average now at 2746.98. The market capitalisation currently stands at £68,038.61m at the time of this report. The share price is in Great British pence. Mcap is measured in GBP. This article was written with the last trade for Diageo plc being recorded at Monday, July 16, 2018 at 12:40:12 PM GMT with the stock price trading at 2764.5 GBX. The stock price for EVRAZ plc ticker code: LON:EVR has declined -1.38% or -7.2 points during the course of today’s session so far. Investors were far from a positive bunch during this period. The periods high figure was 523.4 dipping to 513.4. Volume total for shares traded during this period was 289,425 while the average shares exchanged is 3,994,323. The stock 52 week high is 572 which is 50 points in difference to the previous days close of business and a 52 week low sitting at 219.1 which is a difference of 302.9 points. EVRAZ plc has a 20 SMA of 520.54 and also a 50 day simple moving average now of 518.24. This puts the market cap at £7,414.57m at the time of this report. Share price is traded in GBX. Mcap is measured in GBP. 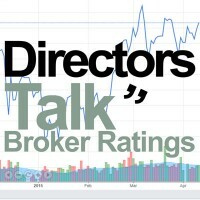 This article was written with the last trade for EVRAZ plc being recorded at Monday, July 16, 2018 at 12:41:07 PM GMT with the stock price trading at 514.8 GBX. The share price for GlaxoSmithKline plc with ticker code: LON:GSK has stepped down -1.65% or -26 points during the course of today’s session so far. Market sellers aired on the negative side throughout the trading session. The periods high has reached 1581.4 dipping to 1545.2. The number of shares traded by this point in time totalled 2,346,504 whilst the average number of shares exchanged is 9,575,445. A 52 week high for the stock is 1632 about 56 points difference from the previous close and the 52 week low at 1179.39 which is a variance of 396.61 points. GlaxoSmithKline plc now has a 20 SMA at 1551.05 and now its 50 day simple moving average now of 1530.94. Market capitalisation is now £76,877.94m at the time of this report. The stock is traded in GBX. Mcap is measured in GBP. This article was written with the last trade for GlaxoSmithKline plc being recorded at Monday, July 16, 2018 at 12:42:19 PM GMT with the stock price trading at 1550 GBX. 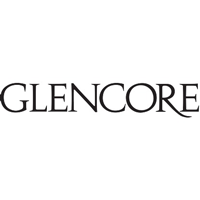 Stock in Glencore PLC with ticker code: LON:GLEN has decreased -2.01% or -6.3 points during today’s session so far. Investors were far from a positive bunch during this period. The high for the period has peaked at 313.65 dropping as low as 306.7. The volume total for shares traded up to this point was 12,648,654 while the average shares exchanged is 61,966,077. The stock 52 week high is 416.91 some 103.91 points different to the previous business close and a 52 week low sitting at 303 a difference of some 10 points. Glencore PLC has a 20 SMA of 356.38 and a 50 day moving average of 375.07. The current market cap is £44,146.63m at the time of this report. The currency for this stock is Great British pence.Market cap is measured in GBP. This article was written with the last trade for Glencore PLC being recorded at Monday, July 16, 2018 at 12:42:18 PM GMT with the stock price trading at 306.7 GBX. Click CPG DGE EVR GLEN GSK for the full archive.